Have you ever been in a situation where someone corrected your pronunciation of a word or a name? Awkward, isn’t it? Communication is a big part of our everyday lives and there are times when you are unsure of how to pronounce names or certain difficult words. Sometimes you need to communicate with people from different countries, and the knowledge of the correct way to pronounce names and words from different languages and cultures can go a long way towards making a good first impression. This list aims to give you an arsenal of tools that will help you to correctly pronounce names and words from English and other languages. These apps and websites often have audio pronunciation so you can listen to and learn the correct way of pronouncing names and other difficult to pronounce words. It is awkward when someone mispronounces your name, especially when you have an unconventional name. Namez is a name pronouncing service that will help you teach others to pronounce your name properly. 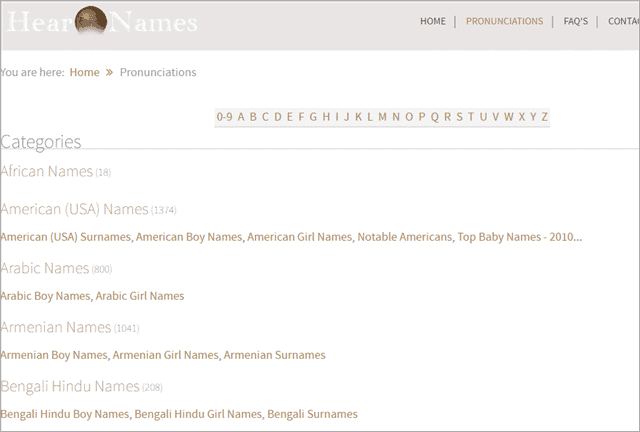 Before you learn to pronounce others names, you can add your contribution to this database so that you can help others. It is very simple; just record and share your name pronunciation so that people can remember it and don’t get it wrong. There are multiple ways to make others aware of your personal, product or company name. Record it and attach it to your email signature, share it with your contacts or embed it on your blog or website. Enough about teaching others, you’re here to learn. Namez allows you to search for the names of your favorite athletes, artists, bands, celebrities and hear the pronunciation of their names. Listen and Learn! 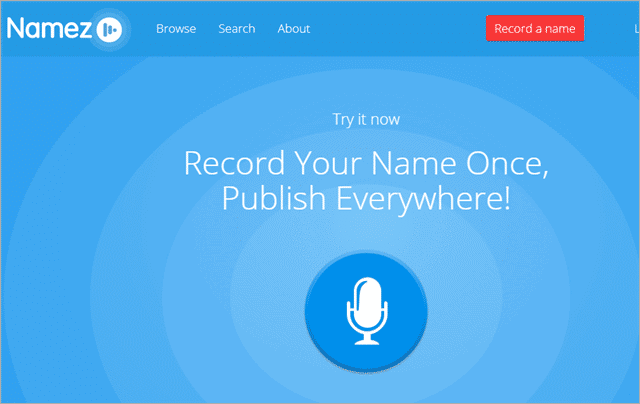 USP: Record and share your name socially, know the pronunciation of celebrity names. Pronunciation of names is the most important part of a conversation when you are communicating with a person from a different country, culture, language, and accent as they could have unusual names. With Hear Names, you can hear the proper pronunciation of names that are tough to pronounce. You simply need to type the name in the search box and search for it. 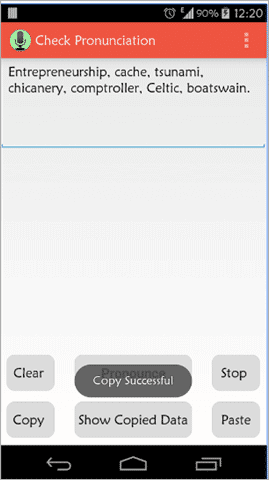 This name pronunciation app has category wise names; click on any category and listen to the pronunciation of various names under that particular category. USP: You can search names by category. Name Engine is another name pronunciation service that offers various categories for you to choose from, such as Brands, Entertainment, Newsmakers, Places and so on. You can also search for the name you are looking for by typing in the search box and then click on the microphone icon to hear that name. If you think a name should be added to the list, you can suggest by emailing your suggestion. USP: Get to know the pronunciation of your favorite brand or person with just a click. 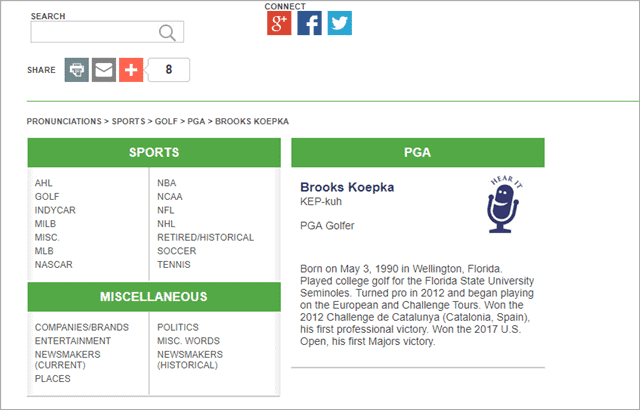 It also lets you look for names under various categories. 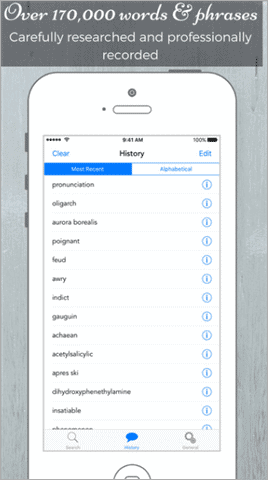 Pronounce Names, like Hear Names, is a name pronunciation app where you can get to hear the pronunciation of various names. It has an extensive collection of names along with their pronunciation. As you can see in the image, the pronunciation is also written in text to help you pronounce the names correctly. Simply type the name in the search box and hit enter for the correct pronunciation and you’ll never mispronounce a name again. 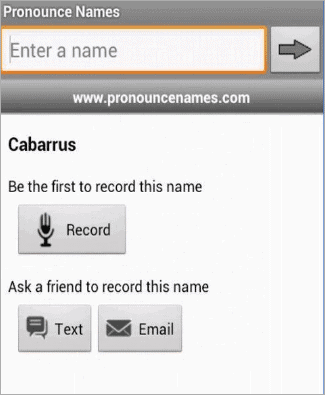 Pronounce Names also has an Android app. USP: Get the text and audio help in pronouncing names. Sometimes you are just concerned with the English pronunciation of words and Inogolo will help you in that case. It offers some pronunciation guides, which are primarily lists of words focused on a topic like Lord of The Rings. It also has a database including various categories like Arts/Humanities, Geography/Places, Entertainment/Media and many more interesting topics. Learn to pronounce different names and difficult words easily with this website. 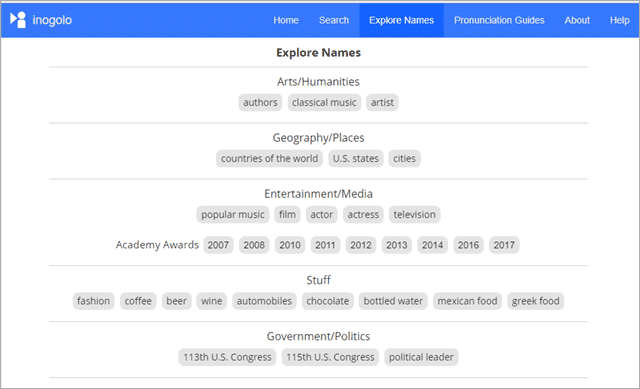 USP: A large database of names and words to explore. Sounds is a well-developed pronunciation app that helps you pronounce any name, place, person or thing. 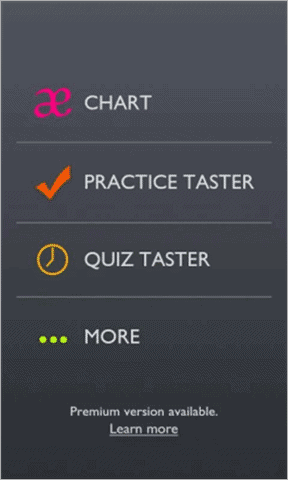 If you are a student, a teacher or a professional, Sounds app will help you practice and speak any name perfectly. 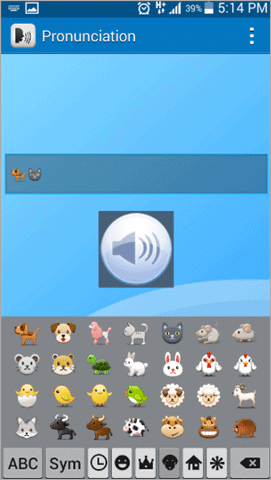 In the free version, there are interactive Phonemic Charts for British and American English. You just have to tap on the name to hear the sound. 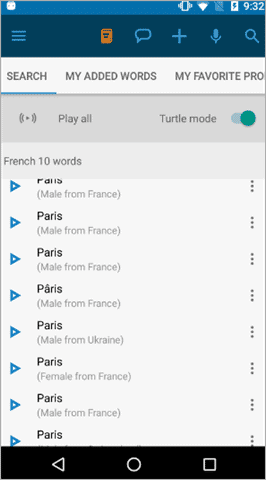 In the premium version, there are over 650 words in the Wordlist, and you can record your own pronunciations. You will also find various tips for teachers and students and workshop videos. USP: Attractive Phonemic chart, Learn both British and American English pronunciations. Cost: Free, with an option to upgrade to premium. Forvo is the most popular, powerful, useful, and versatile pronunciation dictionary you can find. It has more than 3.5 million pronunciations with 325 languages. You can compare different accents for the same word in the same language. The app has the option of listening to male or female voices. You can also check your usage history for words you searched for previously. 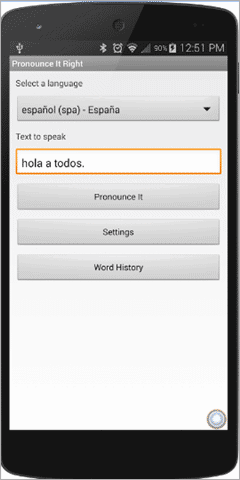 Forvo helps you pronounce names in all the major languages including German, Chinese, Spanish, etc. USP: Get to learn multiple languages with a variety of accents with a large database. 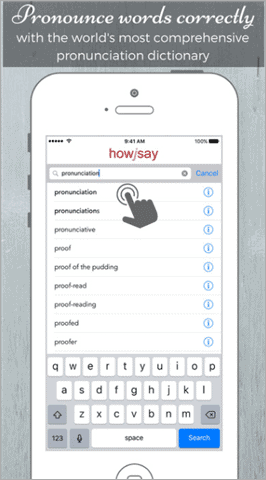 How to Pronounce is a great application that gives you both audio and text pronunciations of words. It also has other information the information such as wiki pages about the word, its meaning, synonyms, antonyms, etc. 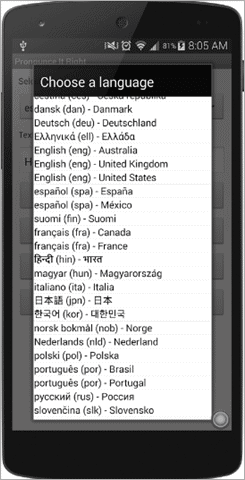 It supports multiple languages including English, Italian, Spanish, German and more. You can also contribute to this service by providing your own recording if it is not there on the list. It has categories for words, names, places, drugs, medical terminology, etc. and other difficult words in different languages. You can even look for the most searched word. USP: Pronunciation along with their meaning, antonyms, and synonyms. 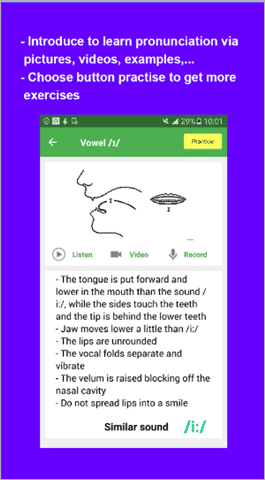 Howjsay Audio Pronunciation can help you tackle difficult words with its comprehensive dictionary which includes medical, legal, scientific, industry jargon, names and much more to help you pronounce any word in the proper conventional way. It gives you the perfect pronunciations for heteronyms (words which are spelled similarly but pronounced differently). An internet connection is necessary if you are working on the mobile app. 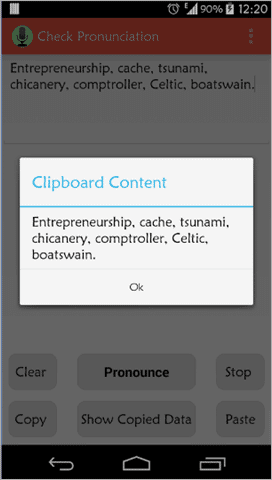 You can access a history of around 1000 words in the offline mode in the mobile app. USP: Heteronyms support, a variety of categories to explore, around 170000 words collection. Cost: Free for Web, $2.99 for iPhone and iPad, $2.99 for Android. If you just started reading the Bible or have been reading it for a long time but still confused with the pronunciation of words and names in it, Bible Audio Pronunciation app will help you with the correct pronunciation. Never make a mistake while pronouncing difficult Biblical names and terms again. There are two versions of the app for Android and iOS; one is free and the other paid. USP: Get access to 800 words in free and 6000 Bible terms in the paid version. Pronounce by VOA News is one of the best web-based services to help you pronounce names and places quickly and correctly. The web service is absolutely free. 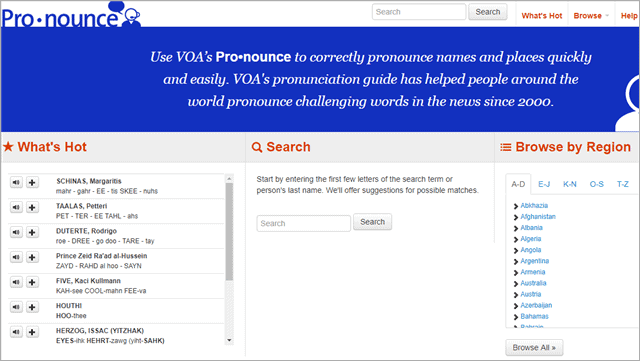 Pronounce by VOA News has been helping people pronounce names accurately since 2000. This site has a large collection of words and names you can look for. Not only this, you can also see what is trending currently and have the option to browse by region from A to Z countries. USP: You can browse by region, and you get information on what words are trending. 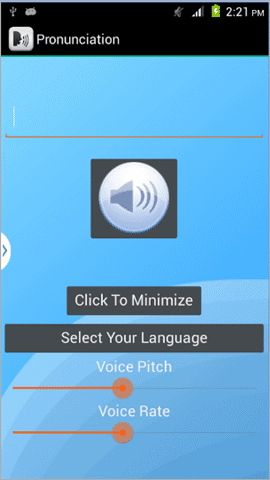 Pronounce It Right is a free app to learn the pronunciation of multiple words in a variety of languages. The languages can vary according to the device; most phones include Italian, German, French, Spanish, English, Japanese, and Portuguese. In-app purchases will take you to the next level where you can see the word history of what you searched for. You can change the pitch of voice, speed, and rate which is quite interesting. The quality of voice may vary according to the language selected. 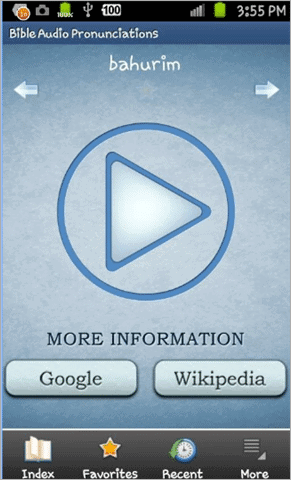 USP: You can change the pitch, speed, and rate of the audio, and see the history of the words searched. 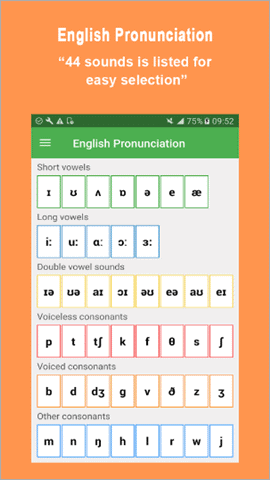 English pronunciation is an app that teaches you how to pronounce English words correctly and also checks your pronunciation (phonetic) to make sure you pronounce it right. The guide includes short vowels, long vowels, double vowel sounds, voiced consonants, mouth and tongue position and much more to make you a pro at speaking English. There are free pronunciation videos to help you pronounce a difficult word correctly. Just search for your word in the search box and listen to its pronunciation and see whether you are pronouncing it right. USP: Useful guides and videos to help you pronounce right. Pronunciation is a lightweight app with offline support so you don’t have to worry about a stable internet connection while learning how to pronounce words. You can change the speed, pitch, and language according to your requirement. 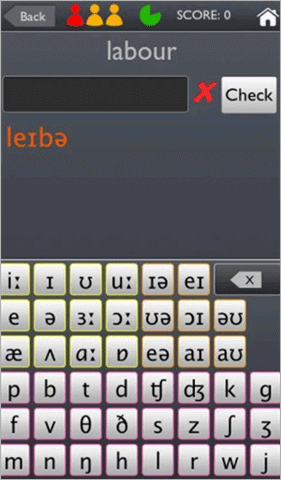 The app can pronounce words, numbers, symbols, sentences, and paragraphs making it a worthy pronunciation app. USP: It pronounces words, numbers, symbols, sentences, etc. 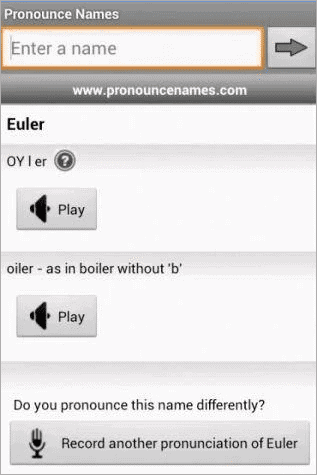 Check Pronunciation app is an awesome utility app to help you pronounce words in a proper way. It utilizes your device’s inbuilt Text to Speech engine and you don’t need an internet connection to use the app. 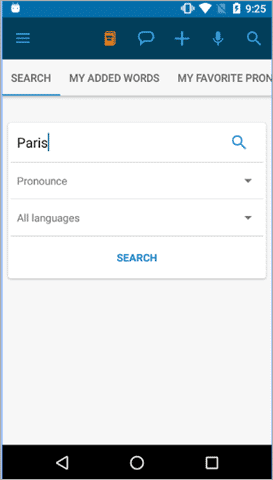 There is nothing much to do; simply type the word in the search box and the app will say that word in the language you select. If you face any issue with the language and speech, you can easily configure it by going into the Android’s TTS settings via Menu > Speech Settings. USP: It works without an internet connection, unlike other similar apps. With so many apps and websites available to you to learn how to pronounce names and other difficult words correctly, there really is no excuse to get them consistently wrong. The pronunciation websites and apps on this list can help you learn how to speak any word without any difficulty. Not only can you be a pro at correct name pronunciation, as an added advantage, you can also discover words that you were not aware of before. Pick any pronunciation service from this list that you like and start tackling those difficult-to-pronounce words that used to give you a pause.